Facebook and Instagram. These are two social media platforms we can’t seem to be able to ditch no matter how hard we try. No kidding. You should try NOT using Facebook or Instagram for a few days, and you will know what I mean! To all the Instagram experts out there, I know this is a very common question but do you know that this can be a very challenging thing for beginners (especially to Instagram)? Lucky for you, you will find the exact steps to post pictures on Instagram and Facebook at the same time. Are you ready to dive into the steps now? Using the Instagram app to post photos directly to Facebook is the easiest of all. Seriously. Now, how it works is fairly simple. Of course, you need to have both Instagram and Facebook account setup to ensure that they will be able to sync perfectly. There are no new steps taken to publish photos at the same time on both social media platforms. As a matter of fact, it can be tweaked from the Instagram publishing page (right before you publish a post on Instagram). 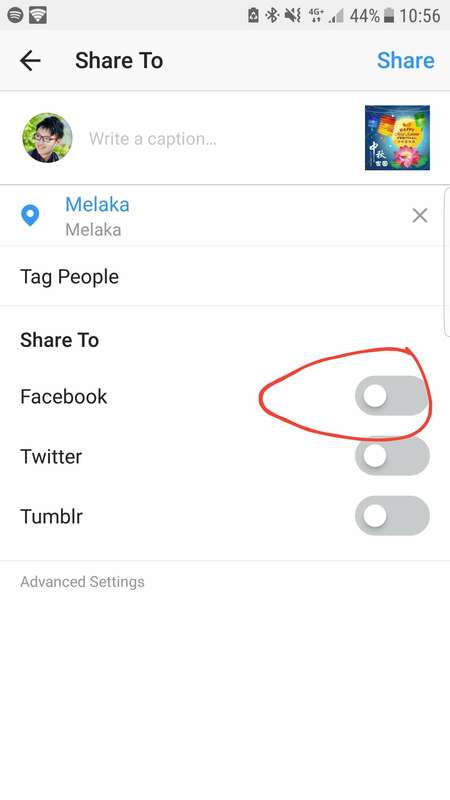 When the toggle is turned on (or enabled), you can use share content directly on Facebook from Instagram as soon as you hit the ‘Publish’ button. If you are the first time to integrate both Instagram and Facebook, you would need to connect the accounts first before you can do so. So, it is pretty fun and straightforward if you ask me. Now, there are also third-party tools if you do not want to share the photo to Facebook using the Instagram app. While sharing photos directly from the Instagram app is still the fastest way, there is no harm using third party tools. In this case, the common tools are like IFTTT (If This Then That) or Zapier which can help you share photos across different social media platforms. However, there are several downsides if you are planning to use third-party tools. The most common issue you may face is that it may not be published immediately on Facebook. As these third-party tools often use API connection, there might be a delay from a few seconds to several minutes (have not seen a delay longer than an hour). Why would people want to use share content on both Facebook and Instagram at the same time? For me, Instagram comes with awesome filters for photos. This allows me to be an average Joe in photography to a super-duper, expert photographer in the eyes of my connections. At the same time, being visible on more social media platforms is always important for branding purposes. Another critical thing is to remember that your followers cannot be at two places at one time. This means that they can either be on Facebook or Instagram at one time. Therefore, publishing content on both ends allows you to be visible to them. 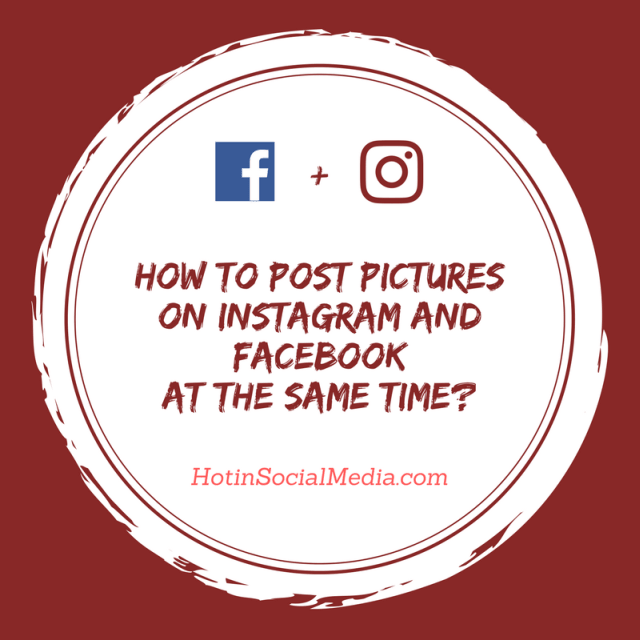 Do you post pictures on Instagram and Facebook at the same time? Please leave a comment below to tell me the reason!